Ask anyone to name a cold tomato soup from Spain and the reply will be gazpacho. However, Salmorejo is a fantastic thick tomato soup from Cordoba that is eaten cold too. I don’t know exactly what happened the past couple of weeks, but I made a lot of food that was completely out of sync with the weather outside. Sunny, 28-30C outside and I am making Mac n’ Cheese and hearty risottos. 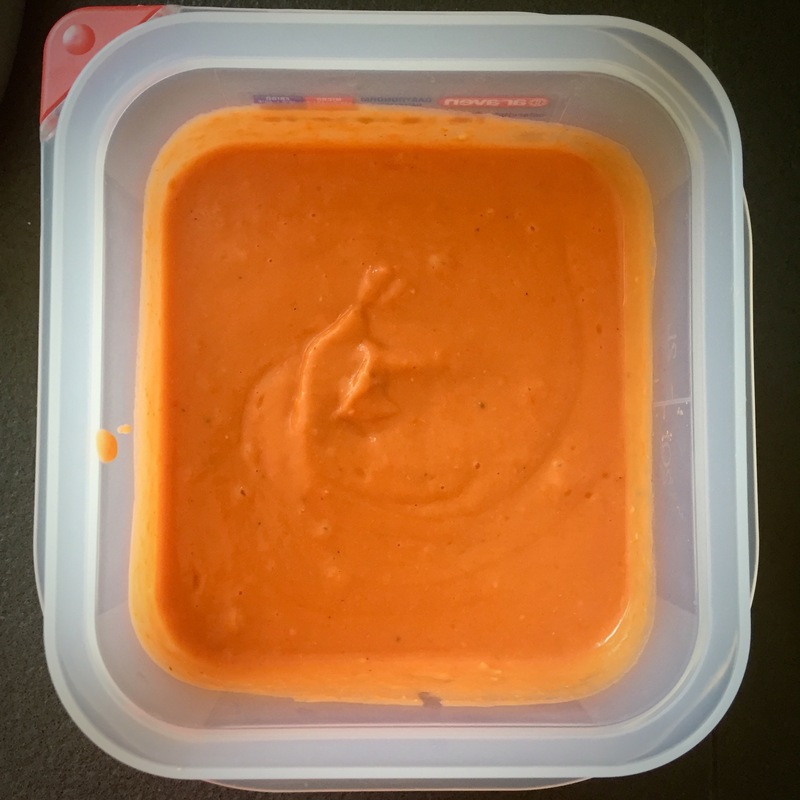 Raining, 16C outside and I am making cold tomato soup…. Oh well. 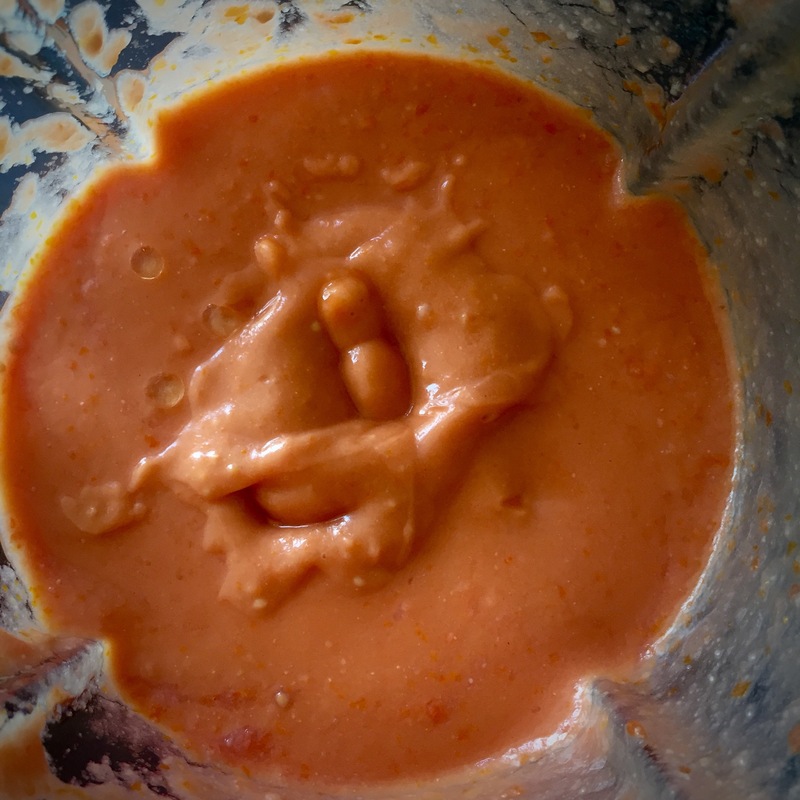 Gazpacho is a very nice dish, but I think that the Salmorejo Cordobés is more satisfying and as easy to make. 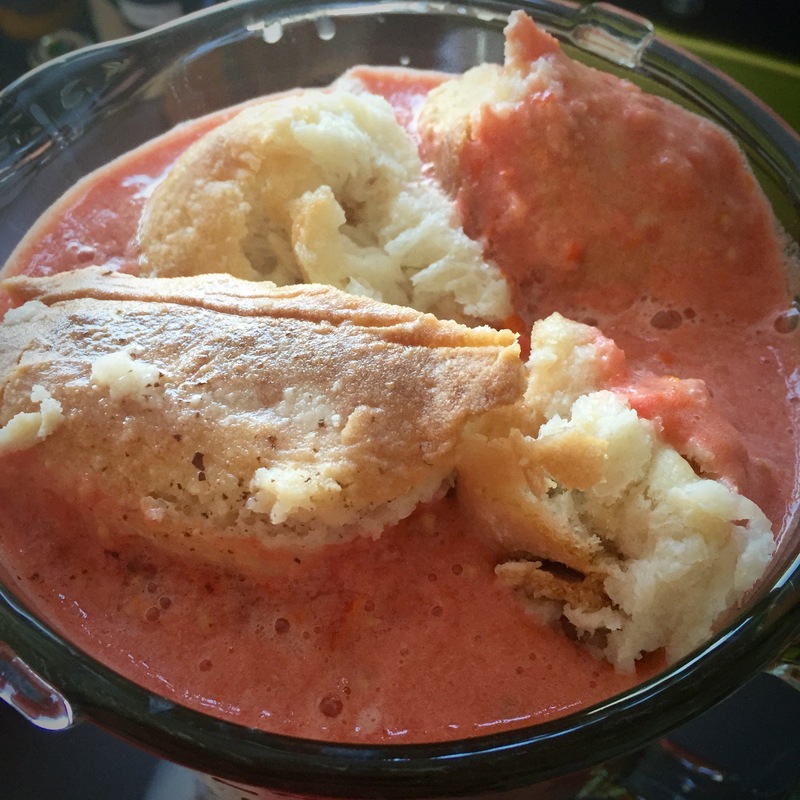 All you need: 5 basic ingredients and a blender. I based this recipe from a Youtube clip where a granny from Córdoba was filmed preparing – from what I understood – her family recipe in an incredibly tiny kitchen and under 6 minutes! It was clear from the clip that measurements were largely “to taste” so I started experimenting. 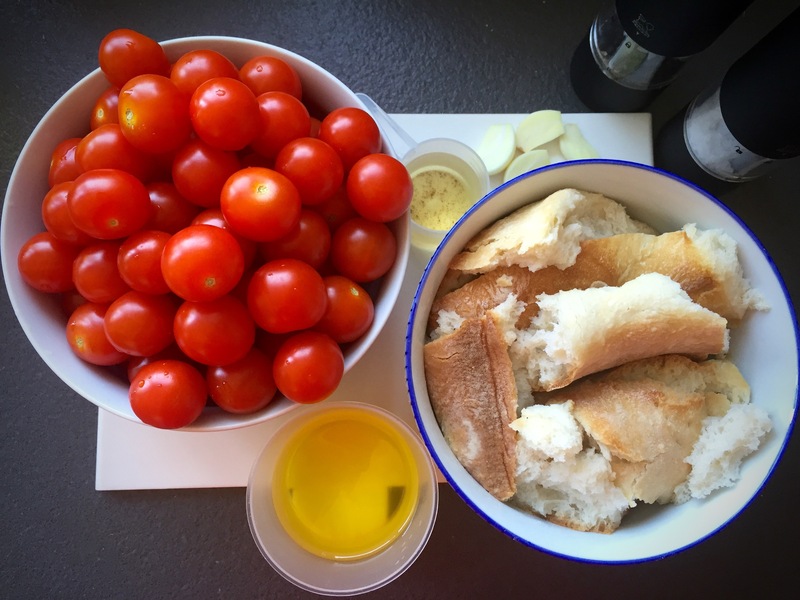 It indeed depends on the quality of the tomatoes and olive oil and type of vinegar used, but these measurements brought us straight back to Spain. 3. Keep the blender on and add the appropriate measure of olive oil in a small trickle (in about 45 seconds, the soup will emulsify very quickly). Turn off the blender, taste and season with salt, pepper and more vinegar if needed and blitz briefly to combine. 5. 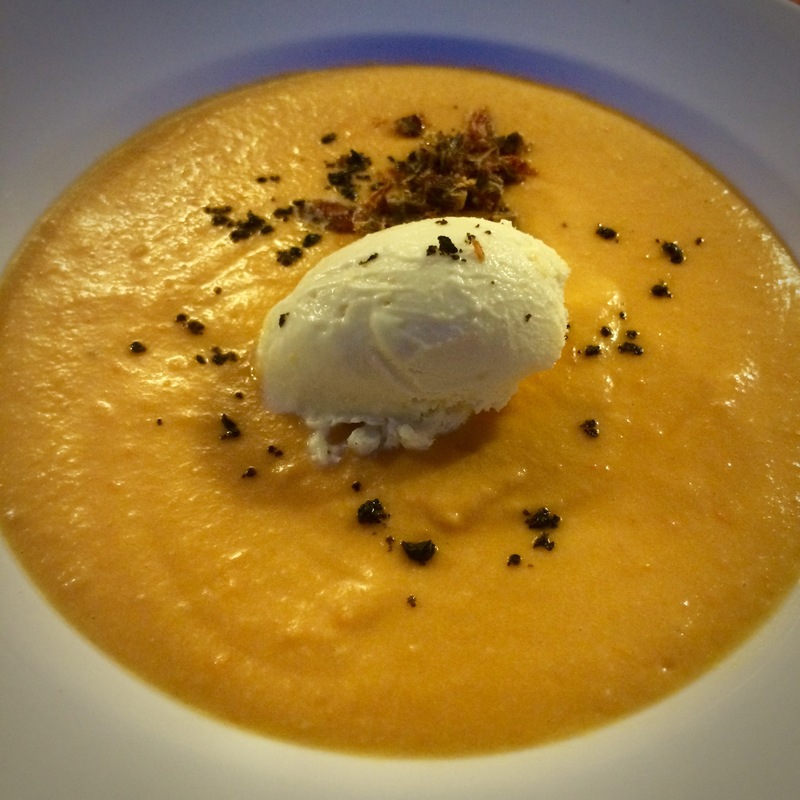 Typically salmorejo cordobés is served with strips of jamón iberico, but it also delicious without. So for a vegetarian version, just serve with a swirl of good quality extra virgin oil and some chopped hardboiled egg. We have seen some served with finely chopped green bell pepper as well.